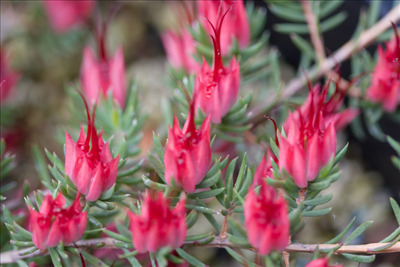 Low growing shrub with aromatic, grey green leaves and red flowers in late winter and spring. Prune plants for a dense compact growth habit. 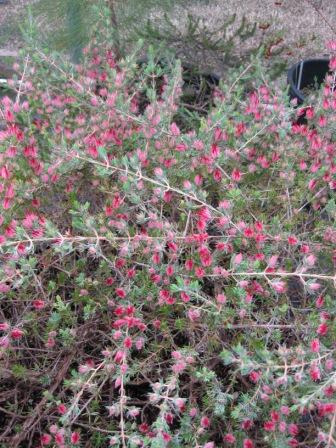 Excellent container plant with its weeping branches (if not pruned). Attracts hummingbirds. Readily grown from cuttings.